Metal Work Austin is comprised of a group of dedicated, highly talented and knowledgable craftsmen whose expertise and commitment to quality sets us apart from other fabrication shops. We specialize in high-end, custom fabrication ironwork that invites you into the process of realizing your project from start to finish. We strive to create functional, beautiful products that will last for generations. Handmade steel planters, address plaques and mailboxes. Made in Texas for homeowners and developers. Völundr is owned and operated by a veteran family. Our down-home beliefs filter into our customer service. You’ll see it hammered right down into the presentation of our custom iron work. We believe in local business. We make every attempt to support the Texas economy through our suppliers and vendors. Joining old fashioned values with the sweat of hard work, we’re proud to be a 100% American made company. Over the past decade, our designer and blacksmiths have fine-tuned their crafts, apprenticing under reputable companies. With a combined 30 years of experience in the field, we can forge your dreams into reality. Not sure what those dreams are yet? We can help create the perfect project to match your home and ideal surroundings. Twisted Metals Welding & Fabrication, L.L.C. is a custom Steel fabrication shop specializing in Architectural & Ornamental Fabrication. Located in Austin, TX we happily support the entire metropolitan area and surrounding Communities. We're a family owned business that specializes in custom fabrication for residential and light commercial. We have experience with all common materials such as steel, stainless steel, aluminum and brass, along with many more. Fencing, gates, indoor/ outdoor railings, landscaping fixtures, metal art If you have a project in mind give us a call. Allow us to help you make it a reality! VC Cuellar Welding is a family owned business located in the city of Leander, TX, providing services all around central Texas with 22 years of experience. 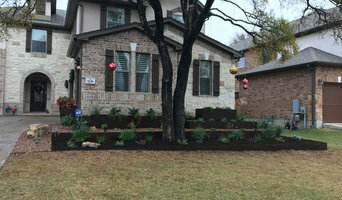 we specialize in custom ornamental work. we strive for quality, from the simplest to the most challenging projects. our goal is to keep our customers content and satisfied. An ironwork and fabrication business with over 20-years of combined experience in metalwork. Specializing in interior and exterior decorative and security wrought iron design that includes: railings, Juliet balconies, gates (pull, swing, double), fencing (installation and repair), architectural, and more. Based in Cedar Creek, Texas, Ransom Welding is a full-service new fabrication and repair shop. We can serve jobs of almost any size on site or in our enclosed shop. Whether you need an equipment repair on a Friday night or a handrail for your porch, we can get it done! We can also help with design of various stylistic projects to make your vision a reality. Ransom Mobile Welding Services is an Aggie-owned business. We strive to produce a quality product in a timely manner, with the customer’s complete satisfaction being paramount. We serve the following areas: Austin, Bastrop, Cedar Creek, Paige, Elgin, Manor, Georgetown, Pflugerville, Taylor, La Grange, Giddings, Smithville, Gonzales, Lockhart, Luling, Harwood, Seguin, San Marcos, New Braunfels, Geronimo, and surrounding areas. From remodel to new construction, APC Metal Works continues to work with some of the larger commercial construction companies, as well as, more personal custom builders in the Austin and surrounding central Texas area. We focus primarily on structural steel but offer turn-key options for all ironwork. We fabricate and install architectural and structural steel for luxury custom home builders. 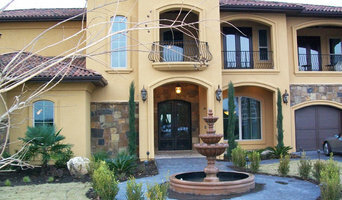 Italian Ironworks of Austin Texas specializes in handcrafted, wrought iron work. Custom work includes: railings, gates, decorative fireplace screens & accessories, support brackets, furniture, lighting and hardware. 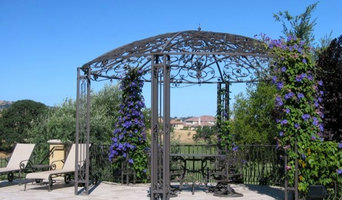 Italian Ironworks can beautifully design and create custom iron work for your home or business to your specifications. Austin blacksmith Lorenzo Fortunato is the artisan of Italian Ironworks and has been serving Texas since 1992, specializing in hand-crafted iron work. An ornamental ironworker fabricates bulk iron into the types of structures that a particular home calls for, then installs them onsite. Some of these pieces are mass produced, others custom crafted. Many ornamental ironworkers also have the design skills to fashion unique decorative components. 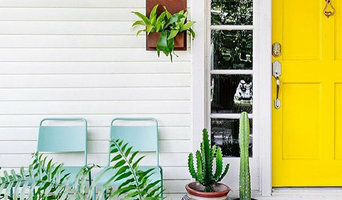 Ironworkers must be trained in safety to create elements such as railings and balconies that both satisfy a home’s aesthetic needs and meet Austin, TX building codes. Here are some related professionals and vendors to complement the work of ironwork: Fencing & Gate Sales & Construction, Decks, Patios & Outdoor Enclosures, Siding & Exteriors. Find an ironworker on Houzz. 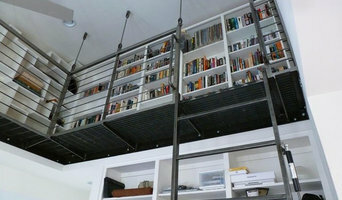 Narrow your search in the Professionals section of the website to Austin, TX ironwork. You can also look through Austin, TX photos to find examples of ironwork that you like, then contact the ironworker who fabricated them.